Home / Cleat Geeks / Which NFL Team Could Either Win Or Lose 10 Games This Season? Which NFL Team Could Either Win Or Lose 10 Games This Season? The many talented NFL writers at cleatgeeks can’t wait for the NFL season to start. This is the week for the final big build to the season opener this Thursday and the big day on Sunday. Lots of websites give Super Bowl predictions and team predictions but we here at cleatgeeks wanted to do things a little different. So we are going to tackle a different interesting question each day from now until Saturday. We hope you enjoy this build-up and that you stick with us as we cover every team, every game through out the season as we have dedicated writers for 30 of the 32 teams. Question; Which NFL team would you not be surprised if at seasons end if they either won 10 games or lost 10 games? Alexandria is up first, she writes for cleatgeeks covering both the Chiefs, where she has a new article coming out today, and the Royals of MLB. I would not be surprised if the Jacksonville Jaguars win or lose 10 games this season. They played very well last season but have not proven that they can sustain success. They will play a harder schedule this season after winning the division. I also think they are too reliant on Leonard Fournette on the offense. Fournette has struggled with injuries in his career and the offense would take a huge step back if they lose him. Matthew Fox has joined Cleatgeeks to cover the Broncos this season. He has a new article coming out later today! When the Giants are good, it’s unexpected. When the Giants fall apart, it’s unexpected. Prior to the 2016 season, not many were high on the team. They went 11-5 and won the NFC East. Prior to last season, a lot of people (myself included) thought they were a playoff squad. They flamed out, went 3-13 and everyone got fired. So, yeah, I could see the Giants being 5-11 in 2018 or being 11-5. Any time you think you’ve figured them out, they go another way. Why should 2018 be any different. Mychal Warno is next up, he loves football and is ready to share his insights about the team he loves, the Tampa Bay Buccaneers. Indianapolis Colts. If Andrew Luck returns to pre-injury Andrew Luck, then the Colts are going to be a contending team. If Luck doesn’t show the same level of play that made him an elite talent at Quarterback, then the Colts are picking early in the draft again. The fate and future of Indianapolis rests on #12’s shoulders. Henry Janosick bleeds purple, at least during the NFL while he cheers on his Vikings and shares his thoughts. This is pretty easy in my opinion, it’s the Cleveland Browns. In fact, they are my dark horse for the second Wild Card this year. They have Landry, a returning Gordon, Njoku, and either Mayfield or Taylor for QB. Also, they have a good defense headlined by returning linebacker Jamie Collins. With those ingredients, that could be a 10 win team, if they play well together. However, injuries and off the field drama could derail their season, also, the players just may not gel together right off the bat. This team has a very bright future, however, the question to be asked is: Are their dark days over? Kevin Emmons is such a fanatical football fan he has agreed to cover both the Big 10 and the Eagles. Denver Broncos- The Denver Broncos could either be really good or really bad. Although the Broncos finished 5-11 in 2017, their defense ranked 3rd in the league. The addition of Bradley Chubb, via the draft, should make the defensive unit even stronger. Also, the Broncos still have a solid WR duo with Demaryius Thomas and Emmanuel Sanders. The run game remains a big question mark, however Devontae Booker and Royce Freeman are both capable of having breakout seasons. The Broncos primary issue since the retirement of Peyton Manning has been at the quarterback position. The acquisition of Case Keenum is beneficial, but will Keenum match his production from 2017? He inherits a similar situation though, with the team possessing a solid defense and receiving assets. If Keenum can be a game manager like he was in Minnesota, the Broncos will contend for a playoff spot. If not, expect Denver to be drafting in the top ten for the second year in a row. Max Moxley is a great resource for us at cleatgeeks. He is obsessed with fantasy football and gives you a few tips in this article. The team I wouldn’t be surprised if they either win or lose 10 games would be the Washington Redskins. Although I feel they have a relatively strong chance at a playoff season, with the loss of Guice and having a new QB and a large blow at RB I could see a lot of room for error for this season as well. They have improved at QB in my opinion and if anything they helped the locker room by at least knowing who the QB will be for the next few seasons. As well as they strengthened their very young Defensive line to hopefully help stop the run which they struggles at a ton last season. But the largest factor that may indicate a good season is health. They have the talent but last year all of their stars/ starters got hurt at every position missing multiple games, especially their offensive line which if you truly look into it is a top 10 offensive line in the league when healthy but all the starters were hurt and they were signing people on Monday and having them be the starter by Sunday for more than half the season. With that said I could see a great season out of them but as I already stated, there is a new QB leading the team and the injury bug has already showed its face in the RB room having Guice done for the season, Thompson not being 100% yet, Marshall being more than likely out for the season, and Perine already sustaining a few minor injuries in the preseason. Health has always been an issue for this team and if last year repeats again this could be one long and rough season for the Skins and all of their fans. This season cleatgeeks is teaming with Sunday Swim to enhance the enjoyment of the NFL season with our fans. Join our league for FREE, make weekly bets using tokens, so there is only fun with no risk. We need to get the league to 100 members, and as soon as we do that, we go live! And the BEST part is whoever has the most tokens at the end of the 17 week season will win $100.00! 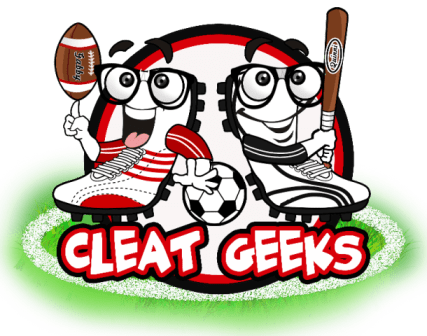 John Porch is more than excited to join cleatgeeks as a writer covering the Cleveland Browns, watch out, he is kind of a homer with these questions. Andrew Luck and DeShaun Watson, who are returning from injuries are two of the reasons the Win Loss column could completely flip. Dallas has a powerful offensive line, and a defense that is hit or miss. They can get to 10 wins and be in the playoff conversation, Or hit a slump and miss out completely. Jake Ross is another of our talented fantasy writers. Here is his latest article. The New York Giants are a team to keep an eye on this year. Big Blue struggled mightily last year, only winning two games. Some good came from their miserable season, the number two overall pick, Saquan Barkley. Saquan was phenom in college, rushing for 3843 yard in his three years at Penn State. Also Odell Beckham will be back this season, his absence last season had a major affect on them only winning two games. Beckham is one of the most talented young receivers in the game, the combo of him and Barkley could be deadly. The big question mark in New York is Eli Manning. Eli’s getting up there in age at 37 years old and has thrown the most interceptions in the NFL since he entered the league in 2004. If Eli can perform the Giants will win 10+ but if he doesn’t things could get bad quick like last season. To round out our article for today we have Ryan Womeldorf who is covering the Buffalo Bills for us this season. The Chiefs. For seemingly ever, the Chiefs have been that team with the potential to do something big or to fall completely off of a cliff. Pat Mahomes is clearly a talented kid, but he’s also still inexperienced. Growing pains will come and I think the Chiefs will hover right around .500, but they certainly have the potential to tilt the dial one way or the other.